In a follow-up to this blog’s earlier posting titled “BUKIT LANJAN: A better way to promote nation-building”, Facebook’s Leland Wong has again shared something that the Malaysian federal government can implement to promote nation-building. “The mainland Chinese government provides free rail transport to farmers to deliver their produce,” Gerakan Deputy Speaker Syed Abdul Razak Alsagoff said. According to Trending in China’s post, Syed Razak said the “vegetable farmer train” on the Beijing-Guangzhou railway features two carriages that are free for crop farmers. 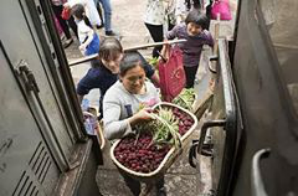 “The farmers apparently save about 2,000 to 3,000 yuan per year. This not only helps the farmers to lower the prices of their produce but also help them remain competitive and contribute to nation-building. “This also benefits the domestic market and consumers. Possibly, some of the produce can also be supplied to exporters,” he added. Syed Razak, who is Gerakan’s nominee to contest N.37 Bukit Lanjan on a Barisan Nasional (BN) ticket in the coming 14th General Election (GE14), said: “Isn’t this a much more sustainable way to help the poor than just giving away BR1M cash handouts without any tangible returns from the recipients? “Instead of turning poor Malaysians into just dependents of cash handouts, such a programme can help farmers become productive, sustainable and contribute to nation-building,” he added. "Leland Wong shared Trending in China's post. 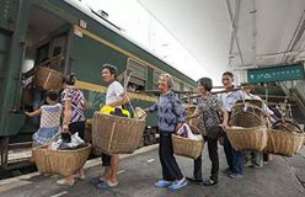 Farmers have an advantage in China, free carriage trains . 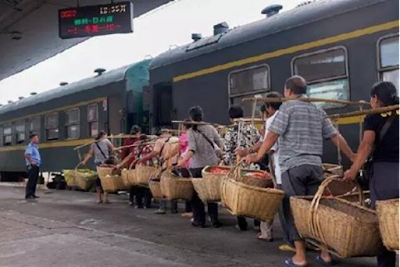 The “vegetable farmer train” on the Beijing-Guangzhou railway has two carriages that are free for crop farmers. 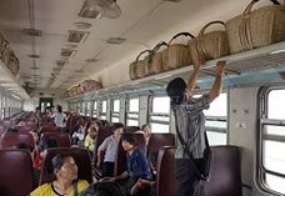 Commuting this way saves them about 2,000 to 3,000 yuan per year. 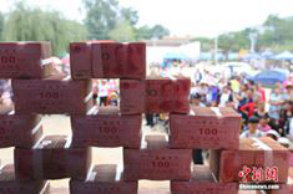 (Photos: rednet.cn) #TrendingToday"
It is time for the Barisan Nasional (BN) federal government to formulate new ways of promoting nation-building instead of relying only on BR1M to motivate low-income Malaysians. “The government just need to think out of the box or learn from others who have succeeded in programmes and projects proven to be more sustaining in motivating and rewarding the people to contribute positively to nation-building,” Gerakan Deputy Speaker Syed Abdul Razak Alsagoff said. 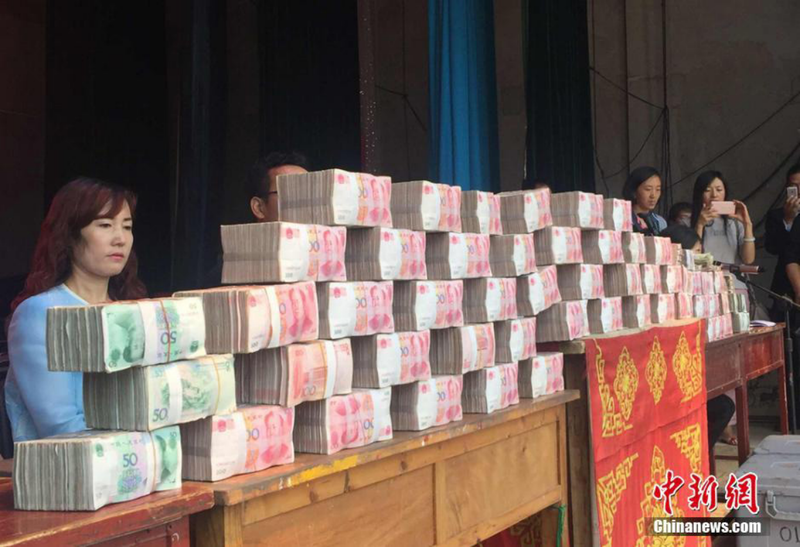 “I wish to refer to Leland Wong’s Facebook posting, sharing a People’s Daily, China’s post showing a ‘Constructive and positive way of making money’. 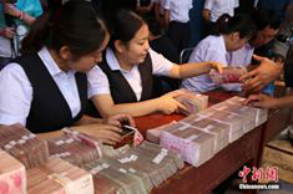 “The billions of ringgit in BR1M handouts are being given away yearly without any tangible returns to nation-building. “BR1M does not help motivate the rakyat (people) to work and contribute to nation-building,” he added. Syed Razak, who is Gerakan’s nominee to contest N.37 Bukit Lanjan as a Barisan Nasional (BN) candidate in the 14th General Election (GE14), said “what the mainland Chinese government did was one very justified way of motivating the poor to work hard for rewards, instead of depending on handouts. “It is definitely a more sustaining way of rewarding and motivating the people to contribute to nation building. And the idea can definitely be improvised to suit other ways of nation-building programmes or projects. Zhang Xinhai, getting as much as 100,000 yuan this time, is planning to plant more trees in the scheme. He finds this way of making money easier than others, as "there is no cost and I don't have to worry about where to sell them," he said. In 2013, a local company supplied 400,000 plants, free, to each participating household. Three years later the farmers had to return the trees to the company, in return for a dividend. Taking the survival rate of the trees into account, each household was expected to return at least 380,000 trees. The company will sell these trees to northern Chinese regions such as Inner Mongolia and Shanxi for greening."